Everton have reportedly announced that they have completed the signing of Theo Walcott from Arsenal. After failing to make a Premier League start during the first half of the campaign, Walcott was heavily linked with a move away from the Emirates Stadium with Southampton and AC Milan said to be among the clubs interested in his signature. However, after Everton agreed a fee – reported to be £20m – with Arsenal, the transfer has been completed in a swift manner with Walcott penning a three-and-a-half-year deal at Goodison Park. The 28-year-old told the club’s official website: “I’m very ambitious and I’ve come here because I want the Club to push to the next level, and with the players that have come in, I feel like the next level can be reached. “I’m very excited to be starting a new chapter and I felt this was the right place for me to be. The manager is very ambitious and I feel like the Club is going in the right direction. 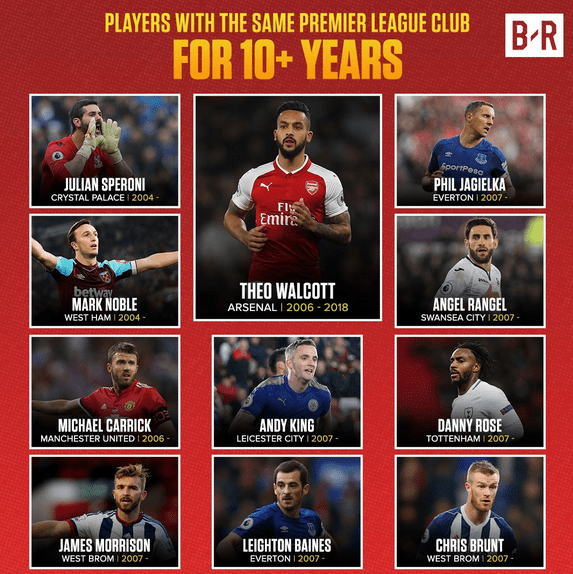 Walcott leaves Arsenal having contributed a total of 108 goals in 397 appearances in all competitions, with the England international winning two FA Cups during his time with the Gunners. Sam Allardyce’s latest signing could make his debut when Everton host West Bromwich Albion on Saturday afternoon.